Many great authors on this wonderfully long list. I pulled out the Rebellion love from rounds 1 and 2. War is coming, and the two people who are irresistibly drawn to each other but want nothing to do with each other hold the fate of a world in their hands and the ripples could change the galaxy. Ria is an Earth Protector and ex-Sandarian soldier. On leave, she visits a vacation planet with her friends, and longs to find the one person whose psychic powers are so compatible with hers that they’ll fall in love. And she does. But then the crap starts to hit the fan and what seems like a simple love story races into a complex dark mystery that ensnares the planet of Mitah, and possibly the galaxy itself. Ty is a Curzan, dubbed sub-human by Mitah’s ruling class. Orphaned when a Sandarian military officer murdered his parents, Ty hates all Sandarians, until he meets a small, spunky ex-soldier and has to rethink his world view. But the world doesn’t wait for love and the political schemes of the greedy only get deeper and deeper, sucking Ria and Ty in until they have to act. I fell for the world the most in this story. Just when it seems they can solve the issues, another layer is revealed. The plot is complex and the world is rich. I like this series. The involved plots revolve around a complex socio-political background. This background allows the series to delve into a variety of plot lines. At the core, the Portal Masters provide intrigue and mystery that ties the books together while the Cavacent family and friends make up the characters I like to cheer for. 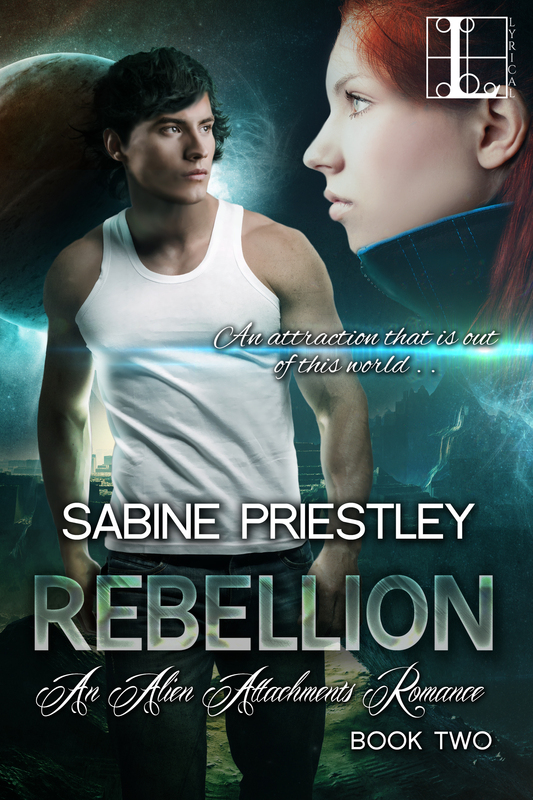 This entry was posted in Books Blog and tagged #Rebellion, #sfr, #sfrb, Alien Romance, Sabine Priestley, Science Fiction Romance. Bookmark the permalink.